Polyglass U.S.A., Inc. is a leading manufacturer of roofing and waterproofing membranes. 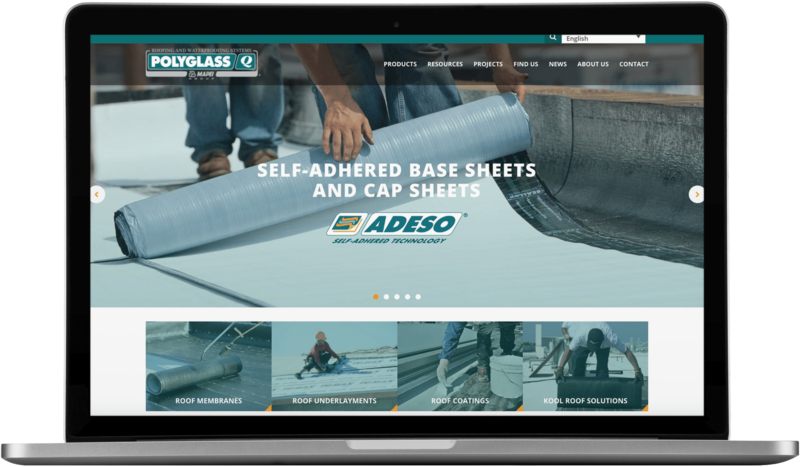 As part of a multi-phase overhaul of their digital properties, we redesigned Polyglass’ U.S. division’s website. This endeavor involved translating the content into multiple languages, creating landing pages for each of their products, and developing a locator tool for sales representatives and contractors. We also designed and developed the website of their subsidiary, Hydraguard Roof Products. This light and airy design not only looks fantastic — it’s coded to be effortlessly customizable so that the client can tailor nearly every part of each page to their specificity.